TIR3 LEDs in every module. (24 LEDs total). Welcome to the high performance 3rd Gen low profile LED light bar designed with an outstanding the latest up to date microprocessor circuit that enables low power consumption. Using the newest Gen 3 LED technology it illuminates an intense ray of light, which can be seen in any direction even in clear daylight. The Black-Hawk super bright interior visor lightbar gives you the ability to choose from 15 selectable warning light patterns. 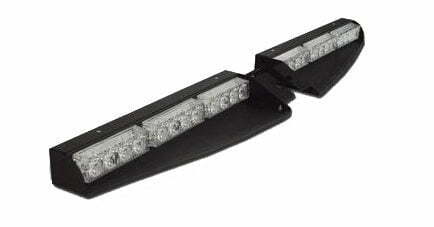 The structure includes 6 LED modules, 4 LEDs per section, of Generation 4 LEDs. We provide mounting brackets. Flash patterns are able to be changed via a push button located on the cigar plug, or the bar can be hardwired. 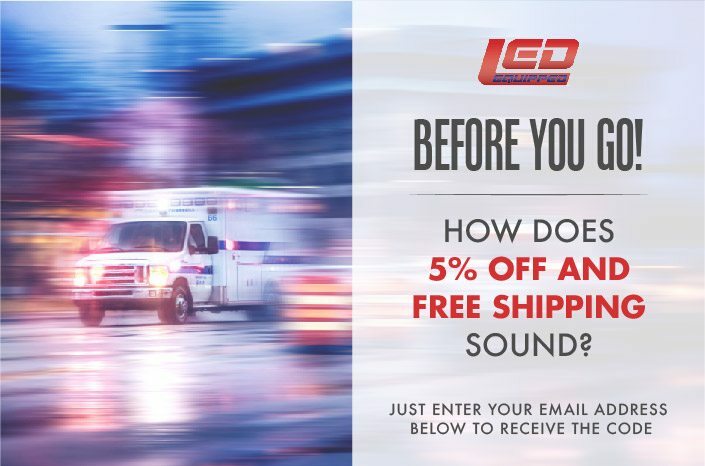 The lightbar can be mounted using your visor in only a matter of minutes.